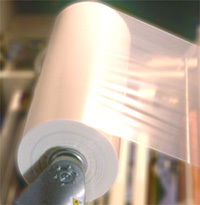 Transparent, flexible, heat-sealable high barrier material. Extremely low water vapor and oxygen transmission rates. Ideal for packaging items that require periodic visual inspection and long term storage stability. Part number ZVF191-36D. These rolls are 36" wide x 200 yards. 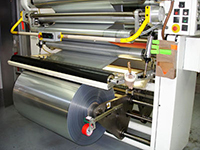 Flexible, non-transparent, heat-sealable high barrier material. Extremely low water vapor and oxygen transmission rates. Ideal for packaging items that require maximum barrier protection and long term storage stability. Part number ZVF131R-36D. Sold in rolls. Price per roll.